? 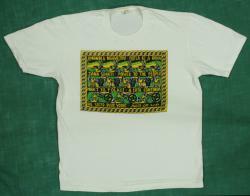 The African Activist Archive Project has asked me for details about this AAM t-shirt. In which of the Nordic countries was it made​​? By what organisation? When and for which solidarity campaign? Please get in touch if you know anything about it.